Another week of immersing ourselves in coastal living. 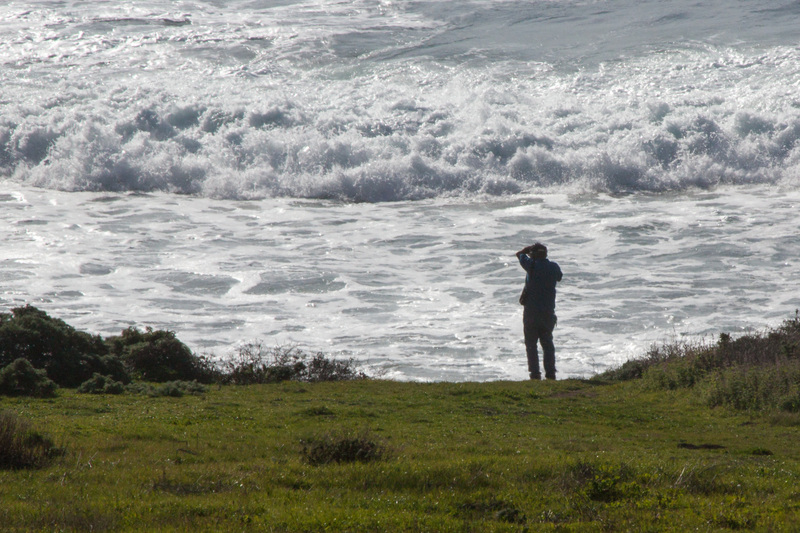 Another week of feeling very small and insignificant compared to the mighty Pacific. Another week of watching pods of gray whales heading south for the summer. Highway 1 along the California coast is a road like no other. It is not for the meek. But if looking for incredible ocean views, and getting a sense of just how enormously humongous the ocean is, this is the road to take. The ocean just goes on and on and on. You are driving right on top of it, next to it, and high above on bluffs with long steep drop offs right down into it. After many miles of this highway /ocean kinship, you sort of become one with the water and sand and its creatures in a very zen like way. My most sincere apologies to those of you reading this in the eastern half of the U.S. who are still submerged in freezing temperatures, record breaking snow and sheets of ice covering your walkways. Here folks, Spring has arrived. Today, on a short hike I counted at least twelve different wildflowers poking there pretty faces up and blooming like no end. 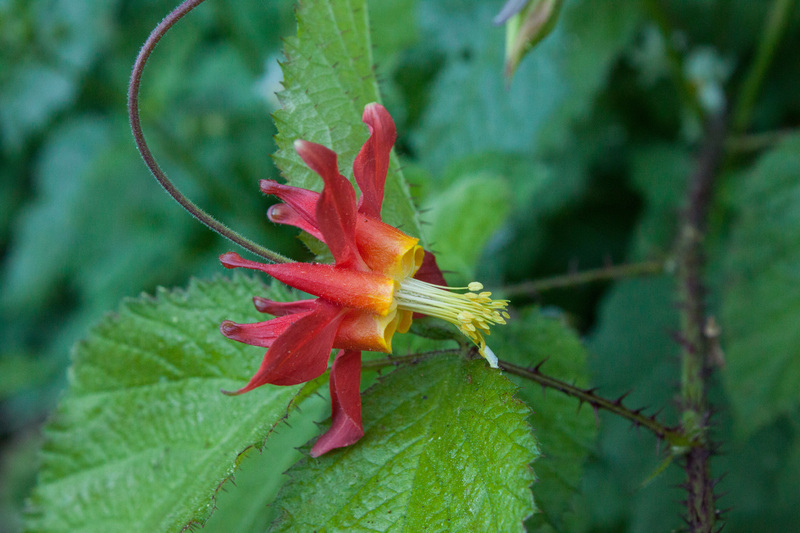 There were Lupines, Poppies, Flowering currents, Potato vines, Paintbrush, Milkmaids, Western Columbine, and Wild cucumber to name just a few. Lack of wifi / or cell reception this past week, has left me a little behind on the blog, but we certainly have had our share of nourishment. Plaskett Campground, which is a national forest campground, therefore accepting the senior access pass, and making it quite reasonable for California at a mere $12.50 per night. It’s spacious, has lots of green grass around all the sites, and is directly across from Sand Dollar Beach. 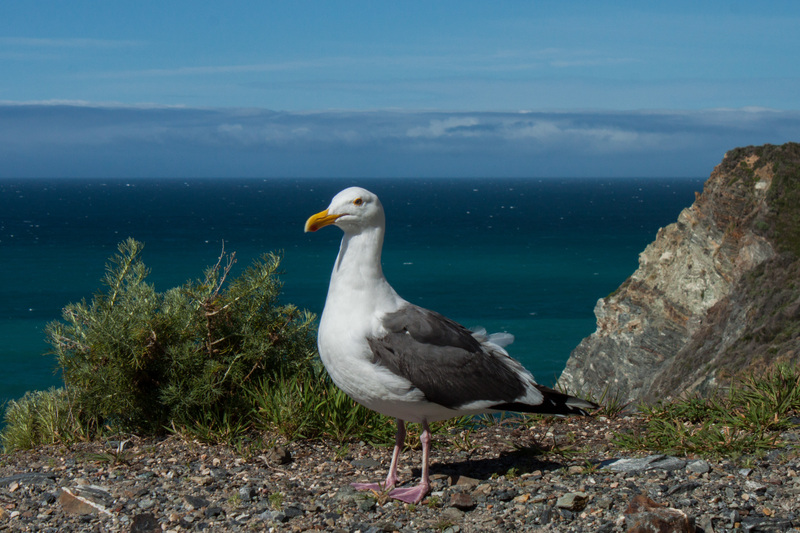 Our other favorite is Montana de Oro in Los Osos. 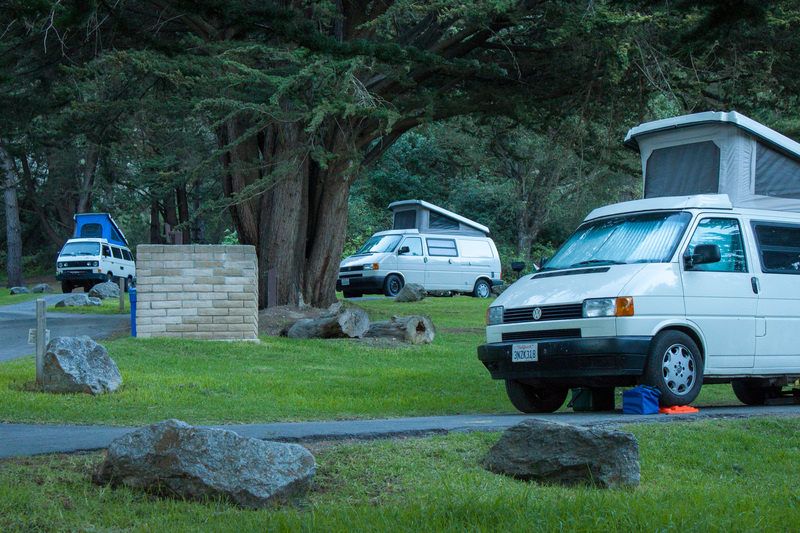 This one is a State Park, so a bit more pricey, but we are in California and dispersed camping is not that easy along the coast. Both campgrounds always have really nice campers staying in them for some reason. Take Plaskett for example: Here we meet Mark and Ronnie, our next door campers with a Eurovan the exact same year and engine that ours is. We spend time comparing interiors, discussing storage options, sleeping arrangements, and all the do dads that one figures out to be helpful camping in a van. Then this beautiful Vanagon “Syncro” (that’s a much sought after 4 x4) pulls in next door to Mark and Ronnie. Isn’t this just a gorgeous setting with three lovely vans camped next to each other? Sometimes I’m perplexed on what photos to put on this blog. Of course I like to showcase photos that I think are pretty decent. But then this isn’t a photography blog. It is a travel blog. So I wind up adding a lot of photos that I don’t actually think are great photographically speaking, but yet they still tell a story. When memories fail, photographs are great for picking up the pieces and putting times and places together in context. Which is why, you might have to look really hard in these next shots to see the subject. We were seeing so many pods of gray whales spouting around, I couldn’t not try to capture some of them. They were really far out in the water, but try I did, and to my amazement with my 300mm lens, and some serious cropping, they actually materialized in the shots! What I wouldn’t give for a nice spotting scope and one of those beastly very expensive super telephoto lenses! Well, we are heading over to San Luis Obispo to see our friends at German Auto for hopefully the last time in a really long time, (still having issues with the heater / ac unit) before leaving this beautiful shoreline and ever stretching ocean, teaming with abundant wildlife and grandeur, to head inland to warmer weather. Looking forward to shedding a few of our heavy jackets.